Within 250 miles of Bloomington, IN. Over TWO DAYS, participants will work with Olympic gold medalist Tyler Clary on improving flip turns and feel for the water. 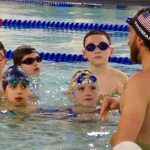 Give your swimmer the opportunity to maximize their speed and power so that they can drop time at this unique two-day FFT swim camp! This is a two-day camp designed for competitive swimmers of all ages and ability levels. The times listed below are for both Saturday and Sunday. Some believe that the best swimmers in the world are born with a talent for understanding how to "feel the water". However, we believe that through practice, specific drills, and instruction, your swimmer will be able to gain a deeper understanding of how to get more out of every stroke and establish this "feel". 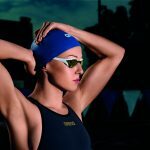 Your swimmer will learn how to move through the water with more power and efficiency. The second fastest point in every single race are your swimmer's turns. (The fastest are starts). At this two-day camp, participants will learn to maximize their speed and power at every wall! They will learn to use the walls to carry momentum into their first several strokes of each lap! Tyler will practice drills and exercises for each of these skills as well as provide immediate feedback for each participant. The fastest you're ever moving in a race is at the turn... don't take it for granted! Swimmers and parents are invited to ask Tyler questions during a Q&A session. Gain insight into his training regimen, diet and nutrition, and recovery tactics. Observe Tyler swim at full speed and demonstrate a progression of perfectly executed drills to achieve powerful, efficient and fast swimming. Take a photo while wearing Tyler's medals, get autographs, and a gift from TYR Sport!